A Wetherspoons pub isn't somewhere we often eat out on an evening, but we were in Durham and staying opposite the Walkergate Leisure Complex, which has lots of casual dining restaurant chains. The boys had decided they wanted burgers or hot dogs so as the Mexican and Italian restaurants weren't going to provide this, we took a look at The Bishops Mill menu. 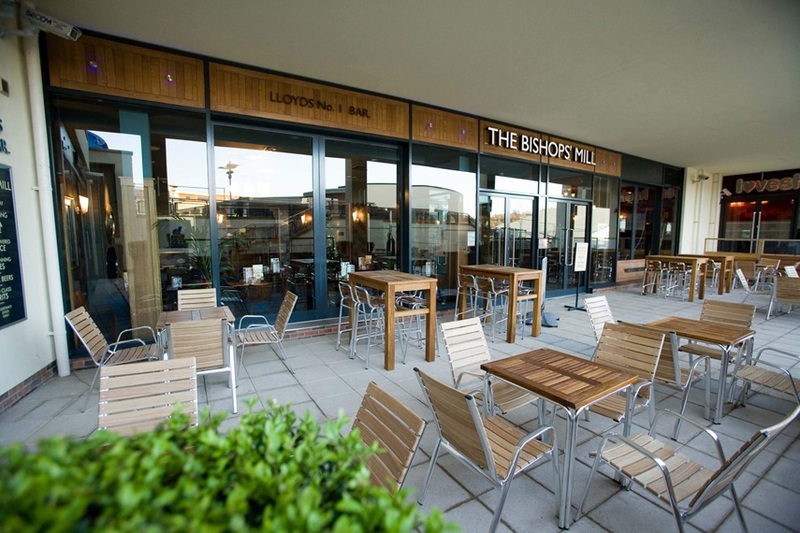 The boys were happy so we headed to The Bishops Mill in Walkergate to try out their menu. As it's also Veganuary this month we thought we'd test out their vegan offerings too. The Bishops Mill pub is a JD Wetherspoons pub named after the historic mill which stood for centuries adjacent to this site. First recorded in the Boldon Book of 1183, the bishop’s mill was the place where the freemen of Durham could grind their corn. The corn mill was rebuilt in the 17th century and stood there until 1972. JD Wetherspoon, founded in 1979 is a national chain. Their menus are varied with traditional pub dishes and also clearly marked with dietary information. The online menu is very impressive. 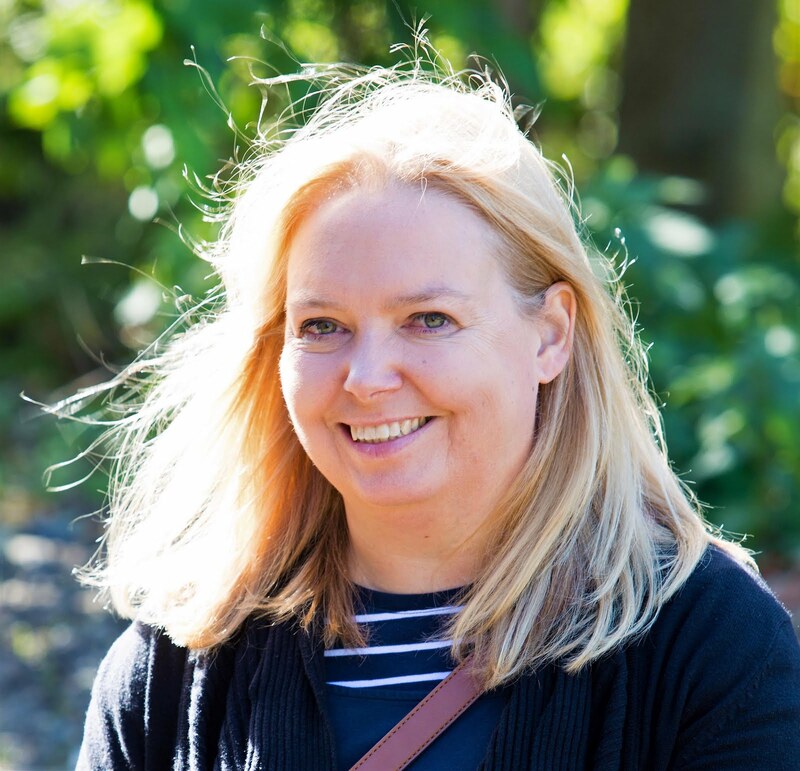 You can filter the menu by dietary requirements meaning it is very clear to see what you are and what you are not able to choose from the menu, whether that is for taste, an allergy or an ethical diet. You can also order online too. 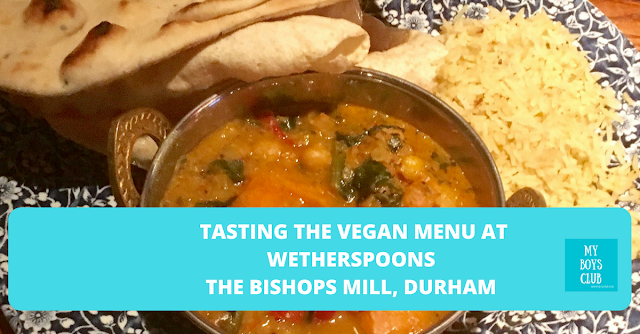 JD Wetherspoons worked with The Vegan Society to create its vegan dishes and selected vegan options are free of all animal ingredients in production and manufacture and registered by The Vegan Society. 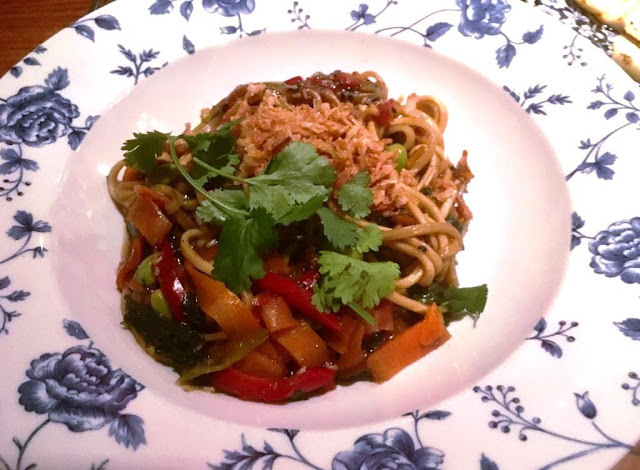 Choosing the vegan option leaves you with four choices of the main dish, a Quinoa Salad, a Five Bean Chilli, Sweet Potato, Chickpea and Spinach Curry and Teriyaki Noodles. There are many more choices if you are vegetarian. Hubby opted for the Sweet Potato, Chickpea and Spinach Curry and I had the Teriyaki Noodles. Both were really good. The kids loved their burgers which came with chips and onion rings, but I have to admit I was pleasantly surprised to see that you can have a choice of dish that is vegan. The two we tried were really tasty, budget friendly and the noodles especially low calorie too. The menu also clearly shows you how many calories are in each dish so if you are watching your food intake this is especially handy. 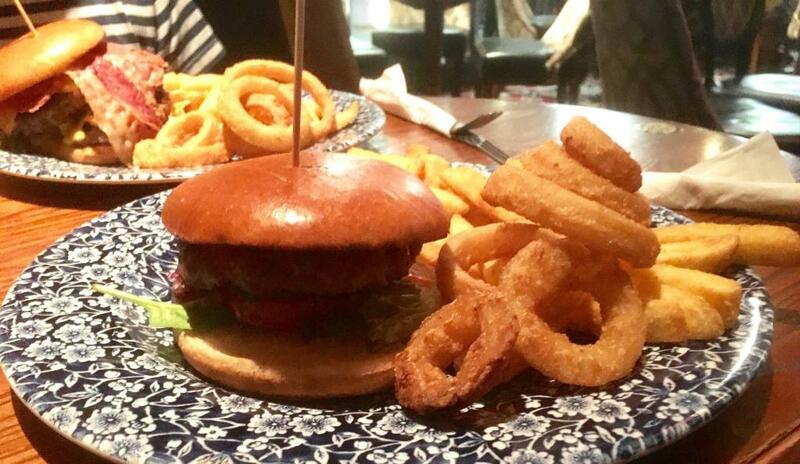 A classic burger and an Empire State Burger were what the boys ordered completed with chips and onion rings. The plates were full of food but they didn't struggle that much to eat them. It didn't take them long either, leaving just a little each so they could enjoy a pudding. As we all enjoyed watching the first half of a football match on the big screen, the boys went on to enjoy dessert. 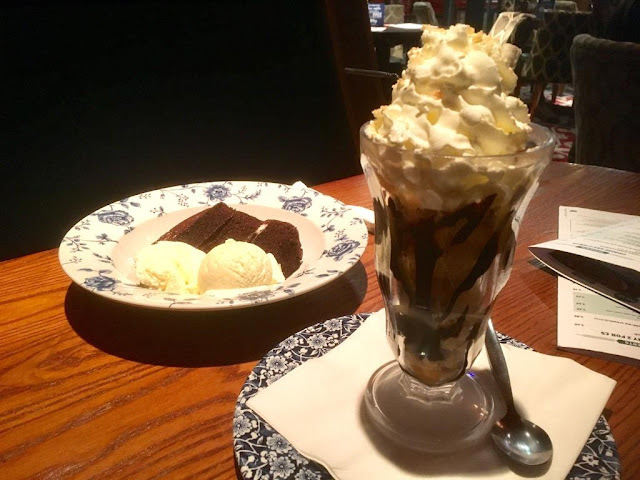 A warm chocolate fudge cake with ice cream and a millionaire sundae - neither are vegan but both are vegetarian. At just £5 for two desserts, they were very big portions, according to the boys delicious and a great price too. The online menu says there are no vegan desserts, however, if you order the apple crumble without the ice-cream according to The Vegan Society it's vegan. Our food and drink in total came to approximately £35. We then used our InDurham Loyalty card and received a 20% discount. 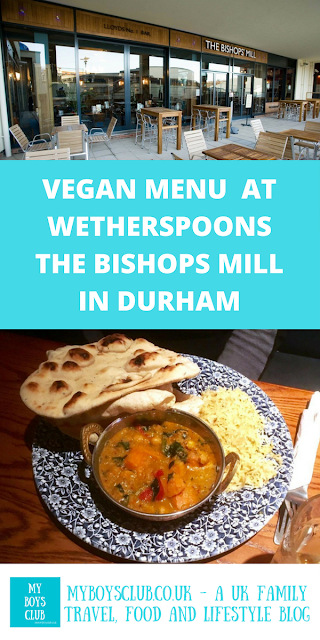 If you are looking for vegan or vegetarian food on a budget where non-vegan food is also available then Wetherspoons is actually a good choice. An added bonus if there is a match to watch too. 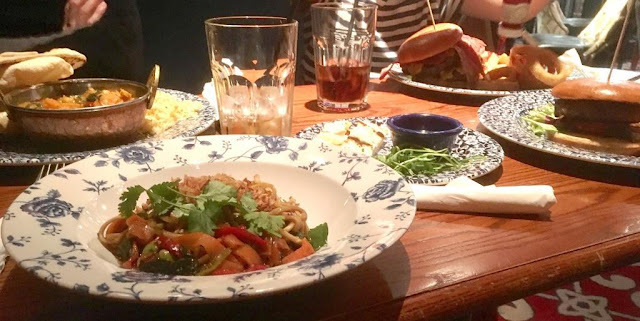 Have you tried the Vegan dishes in a JD Wetherspoons? You don't realise how hungry you have made me this morning. That curry looks lush!! 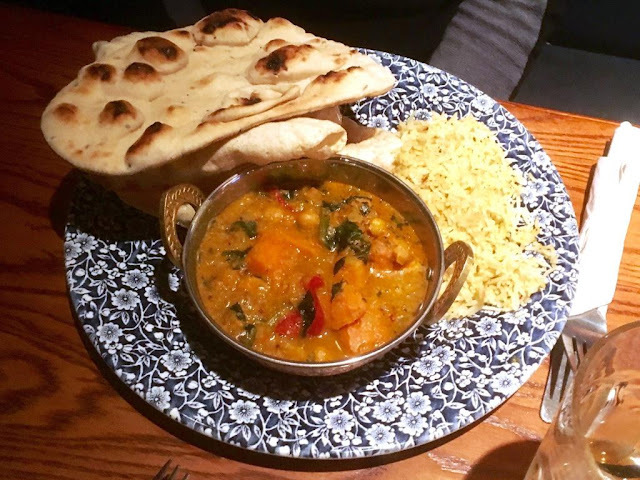 The curry sounds tasty - I don't usually visit Wetherspoons, but it's great seeing more and more options being available in mainstream places! Good to see that they have lots of choice for Vegans!